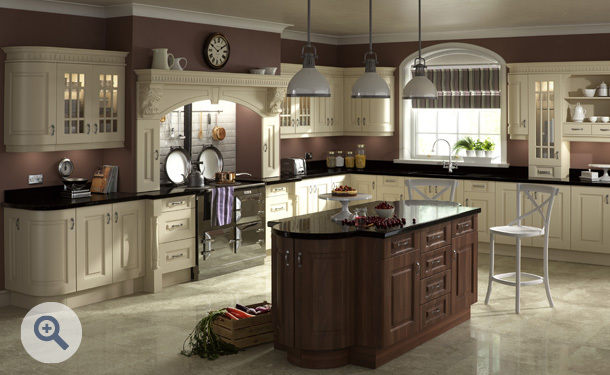 A dream of a kitchen, Prague sublimely combines Cream with Dark Walnut for eclectic good looks. 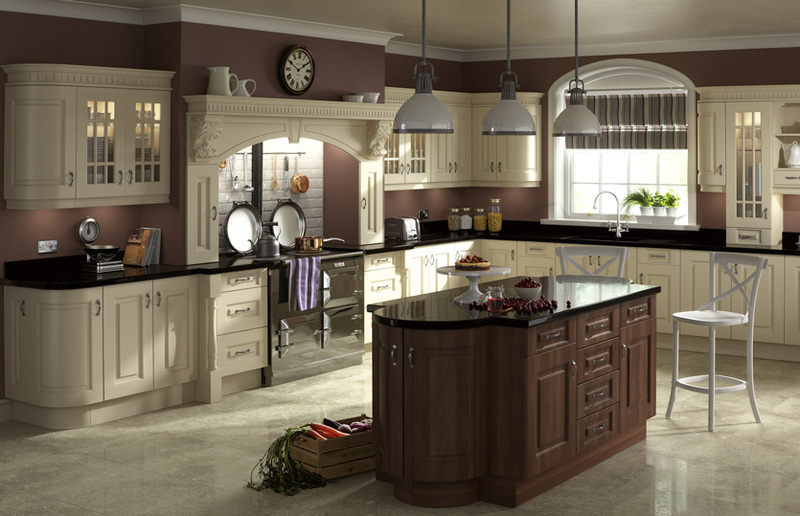 Sophisticated cabinets feature glass fronted and Radius doors; while the most stunning feature has to be the fluted rail detailing which brings this kitchen into a league of its own. Click the button to request a free large sample swatch of Cream and Dark Walnut. Click the button to purchase a Sample Beaded Prague design door in the Cream and Dark Walnut finish. The Beaded Prague design is also available in ALL non-gloss finishes. The Beaded Prague design is also available in ALL high gloss finishes. Please Note: The Beaded Prague design is not available in any high gloss finishes.